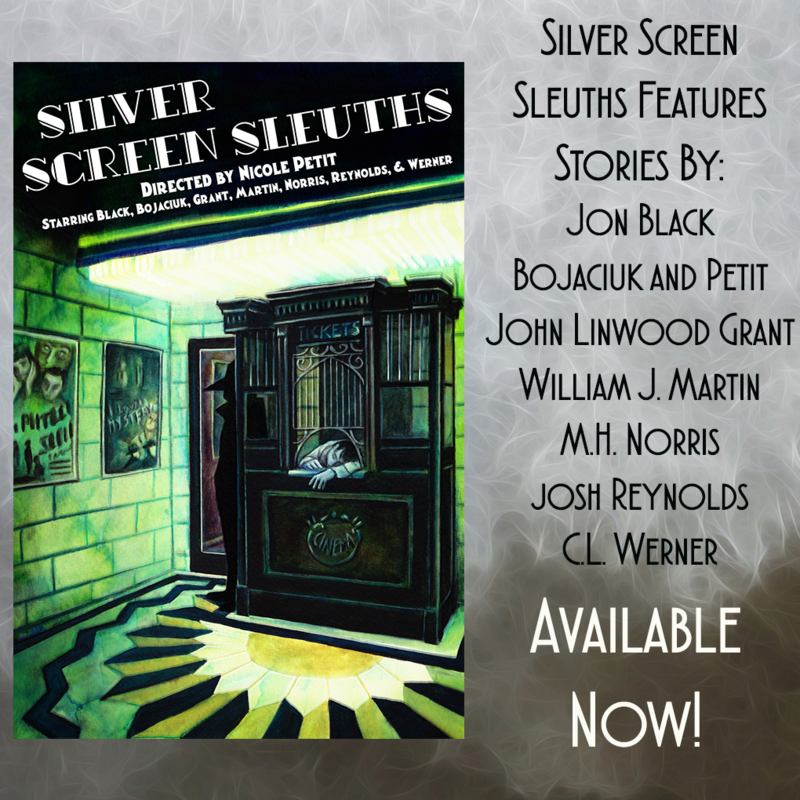 We’re pleased to present our first excerpt from Silver Screen Sleuths, an exclusive look at C.L. Werner’s story. No one in the crumbling wooden shack seemed to hear the sardonic comment. They were far too mesmerised by the ghastly scene into which they had stepped to pay attention to the grim gallows’ humour of the beetle-browed grey-haired actor. 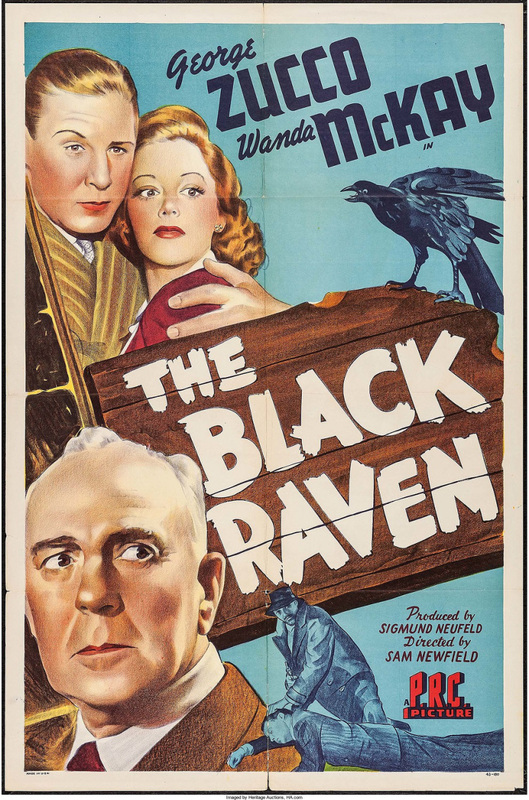 A touch of grim levity was the only thing that kept George Zucco in the room, however. If he were to allow the full measure of the horror he was looking at hit him with all its force he’d probably turn around and not stop running until he was in Bakersfield. The thing that was strewn about the shack amid a patina of blood and less agreeable fluids had been the writer H. Marrion Stanhope. There were enough recognizable pieces to be certain of that much. It was his shack, after all. So it made sense it would be his corpse. Nobody else had a reason to be in the tumble-down shanty where Stanhope had been slaving away on revisions. Except, it appeared, for the man’s killer. An awed silence gripped the other members of the cast and crew as they gawked at what was left of Stanhope. Zucco was the only one who maintained an air of detachment. Less rattled than the others. Perhaps he was simply better prepared mentally to accept the reality of such horrors. Not quite five years earlier, he had been considered for a role in a remake of The Lodger and did some research on his own in preparation for the project. What had been done to Stanhope reminded Zucco of the ghastly photographs taken of Mary Kelley, the last victim of Jack the Ripper. The technician nodded, but continued to gawk. “Go get the police!” Stone snapped at him, spurring the man into action. As the technician left the shack, Zucco noticed someone else trying to enter the crowded room. He stepped over and blocked the newcomer’s path, trying to hide from her eyes the havoc that had been visited against Stanhope. Gripping her shoulders, he turned her around and pushed her back outside. “There’s nothing in there you need to see, Miss LaRue,” Zucco stated. He blinked as he stepped out from the shack, his eyes dazzled by the high desert sun after the gloom inside. “But what has happened, George?” she asked, worry in her tone. Monique LaRue gasped. She pressed one hand to the breast of her costume, a beaded buckskin dress that was some Hollywood costumier’s idea of what Indians wore. Zucco noted that her hand, unlike her face, was not caked in make-up but instead retained its naturally dusky colour. Monique was a Creole from Louisiana, though the studio’s publicity department had decided to make her a Polynesian from the mysterious island of Ponape. She was being billed as “Tara,” no surname, and ballyhooed as the most exotic beauty to ever appear on the silver screen. Zucco did smile at the absurdity of the publicity department. Here was an actress from Louisiana being passed off as a Polynesian while playing an Indian half-breed, her skin caked in what amounted to white-face. Monique’s film debut was already confusing enough without throwing a murder into the mix. “They won’t…I mean they aren’t…” there was a trace of genuine fear in Monique’s voice now. Zucco gave her a reassuring pat on the arm. “Only a delay. They don’t cancel a picture simply because the writer dies.” Monqiue’s inexperience was endearing. Maybe it was likewise naïve of him, but he hoped the studio system didn’t make her too cynical too quickly. He doubted if Charles Stone appreciated it, but it wasn’t her pretty face that gave Monique such an exotic air, it was her innocence. Maybe he’d thrown a bit too much of himself into his current role—he was playing Monique’s father in the film—but he felt protective towards her, as though she were in fact his daughter rather than only acting the part. They were passing the larger of the three saloons that fronted the street. The little western town had been built to scale in the high desert just the other side of the San Bernardino Mountains back in the 30s for Tom Mix and Bob Steele oaters. Over the years it had been neglected and much of it now resembled an actual ghost town. Some of the buildings had been gussied up with new paint and a few repairs, but such improvements had been carried out only sparingly. Stone was determined to bring the picture in under budget. The tight purse strings extended to the amenities for cast and crew. Except for the producer’s own trailer, everyone had been billeted in one of the set’s buildings. The prop department was in the school house, camera equipment was being stored in the jail when not in use. Pierce was viewing the daily rushes in the back of the blacksmith shop and the general store was doing service as a commissary when scenes weren’t being filmed there. “Home” for Monique was a little building with a tin roof and a doctor’s sign hanging from its awning. Perhaps the one touch of consideration Stone had extended towards his “discovery” was setting her up in the only place that had four solid adobe walls and a ceiling which didn’t leak. Zucco waited until the actress was inside before making his departure. He started towards the undertaker’s but then stopped in the middle of the street. He glanced back at the shack where Stanhope had met death. Contrary to what he’d told Monique, he walked back towards the violent scene. Stone was forcing people out of the shack. With him was Curly Becker, the studio cop who had been brought along to act as security. Zucco noticed that for the first time since he’d met the man, Becker had a gun hanging from his belt. “Then you do think Stanhope was murdered?” The challenge came from Douglas Irons, the former rodeo bronc-buster who was playing the film’s hero. Since production started, the cowboy had been butting heads with Stone’s high-handed attitude. “And if there is a murderer around here?” Irons persisted. “Surely a sharpshootin’ Texan can handle himself?” Stone retorted. Irons’ hand flashed like lightning, whipping the Colt .45 from his gun holster. Stone blanched as the cowboy aimed the weapon at him and fanned the hammer. Smoke and flame flashed from the barrel while the crack of gunfire echoed down the street. When the smoke cleared, an unharmed Stone glared at Irons. “Has it occurred to you that the murderer might be thinking the same thing?” Zucco asked. The question sent frightened whispers through the crowd. Stone’s face turned bright crimson. “We’re getting worked up over nothing,” Stone insisted. “When the cops get here, they’ll take stock of things. I’m telling you, Stanhope drank himself under and then coyotes started picking at him.” He fixed his gaze on Zucco. “Maybe you should be more worried about your performance. We’re shooting your big scenes tomorrow.” He glanced aside at Pierce. Director and producer shared a look and then Pierce broke away from the crowd. Clapping his hand on Zucco’s shoulder he guided the actor away from the shack. Pierce shook his head. “You’ve been reading the script too much,” he told Zucco. “That kind of thing happens in horror pictures, not real life.” There was an uneasiness in his eyes. The director glanced up and down the street. “I don’t know anything, George. If you want to keep getting a paycheck around here, you’ll do the same.” Pierce stalked off, heading towards the general store and the commissary. Zucco watched the director walk away. “Stone isn’t paying any of us enough to stand around waiting to be murdered,” he muttered before turning back towards the undertaker’s parlour. He paused on the boardwalk and looked up at the coffin-shaped sign. If the shop had been real, he suspected it would be doing a good business soon. Because what had been done to Stanhope was more than simply murder. It was the work of a maniac. A maniac Zucco didn’t think would stop at one killing.